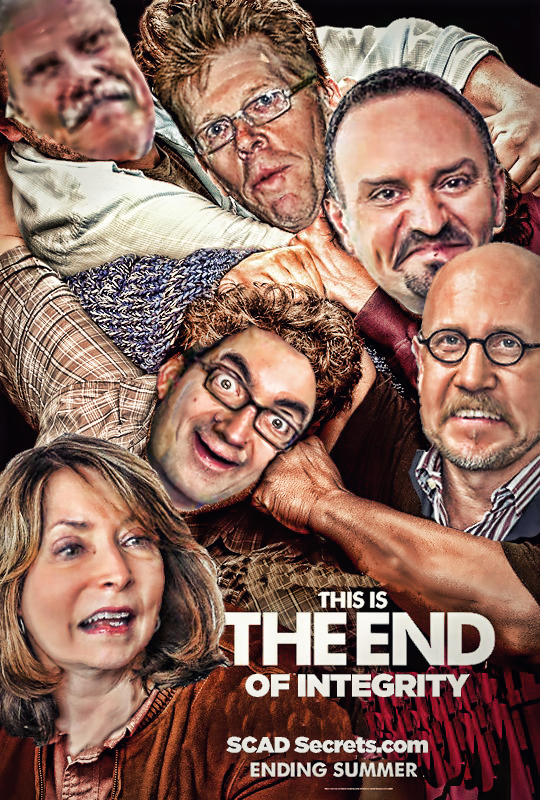 IRS vs. SCAD: Apocalyptic Lunacy! 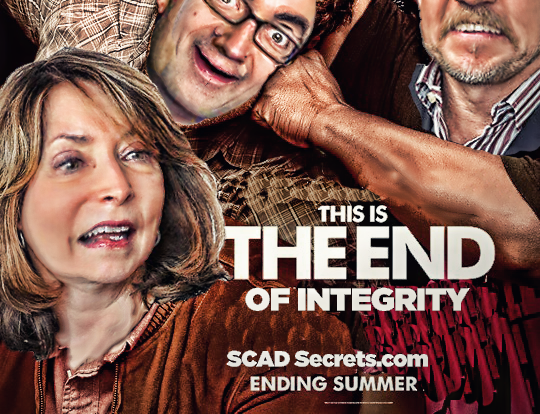 If “The End” of integrity at SCAD is this much fun, then bring it on! Dear Leader is the host of the party that spirals into IRS chaos – quite literally – when the Internal Revenue Service comes to Savannah and swallows up a bunch of SCAD Administrators in a post apocalyptic audit! The film opens with Dear Leader on the chopping block. The IRS is reviewing Dear Leader’s spa bill (that exceeded $278,000 in 2012). Chaos ensues as the SCAD administration shreds the evidence, tries to escape on the SCAD jet for an overnight shopping trip to NYC, and culminates with the Mad Turk’s money fight at the SCAD equestrian center. A must see for the SCAD parents—who—after all, have been footing the bill for this ‘coastal empire’ low country debauchery all these years! “We Don’t Do Number Two” SCAD Administration: Dungeons and Online Cruising!? !